The deal Congress passed to avert default and fund the government for a few months also requires lawmakers to do what they, um, were elected to do: Sit down and negotiate over a budget. What those negotiations can accomplish was not at all clear on Thursday. Expectations for any large, long-range deal are low. And experts are not wildly optimistic lawmakers will successfully deal with shorter-term budget decisions either. "Because the deal does not address any of the underlying policy differences between the two parties, Washington will simply barrel toward a new set of deadlines no better prepared for compromise than it was this time around," said Sean West, U.S. policy director for the Eurasia Group. The deal doesn't require anything specific of budget negotiators other than to wrap up talks by December 13, and to not use the talks as a vehicle for further debt ceiling increases. 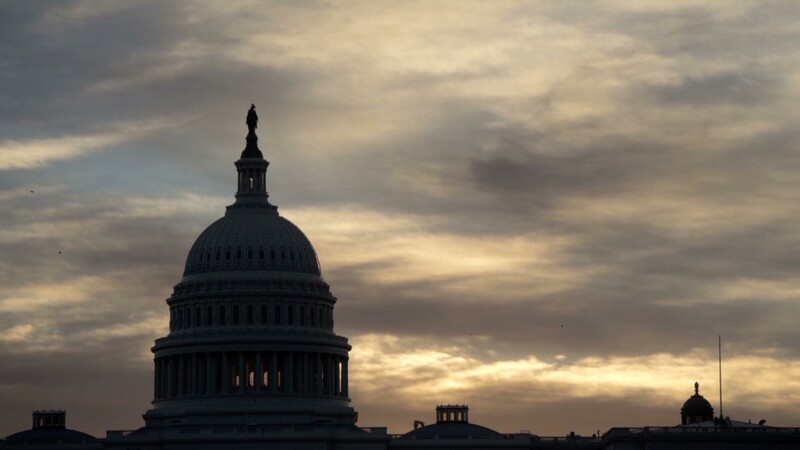 The most immediate decision: What to do about the across-the-board spending cuts known as the sequester, and how to fund the government for the rest of fiscal year 2014? The deal only provides funding through mid-January. If lawmakers don't renegotiate the sequester, which is widely acknowledged to be a ham-fisted way to reduce deficits, funding will automatically be cut by an additional $19 billion on January 15 on top of the cuts already made this year. Of course, lawmakers haven't been able to agree how to replace the sequester since it was first created as a cudgel in 2011. Republicans want to lessen the cuts for defense and instead cut non-defense programs more deeply -- a nonstarter for Democrats. Democrats want higher 2014 funding levels than called for under sequestration and want to replace them with longer term budget savings from spending cuts and tax increases -- a nonstarter for Republicans. These disagreements bleed into general discussions about funding the government for 2014. If Congress fails to do so by January 15, another government shutdown will occur. More broadly, people in both parties acknowledge that tax reform and entitlement reform will help close the country's long-term shortfalls and help boost the economy over time. They just disagree vehemently about how to go about it. And here's the thing: 2014 is a midterm election year for Congress. The voting public never loves hearing that benefits may be cut and taxes increased. Nor is it clear that hardliners in either party are in a negotiating mood. Still, there's a chance something longer term comes out of the budget conference, which will be headed by Republican Paul Ryan of the House and Democrat Patty Murray of the Senate. "I hold out some hope that a combination of tax reform and minor entitlement reforms can emerge. I have much more optimism now that it is in the hands of Ryan and Murray," said Steve Bell, senior director of the Bipartisan Policy Center's Economic Policy Project. His colleague, William Hoagland, is also hopeful but not quite as optimistic. Maybe the committee will net some minor deficit reduction, said Hoagland, a senior vice president at the center. But he's not holding his breath. "You can lead a horse to water but you cannot make him drink." Longtime budget expert Stan Collender, a former Democratic staffer in Congress, is not hopeful at all. "They haven't done anything in two years. Why does anyone think anything can happen in a few months?" As for the lead negotiators? Put them down as officially hopeful. "We recognize ... the challenges we face in reaching an agreement. But we want to find common ground and work toward a bipartisan deal. We intend to focus on what we can achieve," Ryan and Murray said in a joint statement after the deal passed the House. The two met for breakfast on Thursday.